While users who are new to command line interfaces find there is a learning curve attached to IPTables, the utility itself is simple enough to use. There are a range of core commands that act as your bread and butter for controlling traffic. That being said, you need to be very careful when making changes to IPTables rules. Entering the wrong command can lock you out of IPTables altogether until you address the problem within the physical machine. 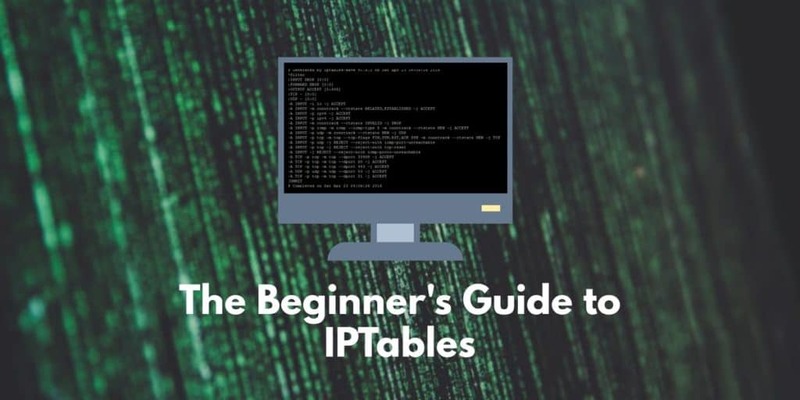 In this article, we’re going to provide you with a basic guide to IPTables and introduce you to the fundamentals. Before we get to the heart of IPTables you need to make sure that you have a VPA running Ubuntu 16.04 and a local machine with an SSH client. If you already have these then it is time to begin. One of the fundamental concepts to come to grips with in IPTables is that of chains. A chain is essentially a rule. The filter’s tables have three chains you’ll encounter on IPTables; INPUT, FORWARD and OUTPUT. INPUT – The INPUT chain is the rule that controls incoming packets. Here you can block or allow new connections. You can do this based on port, protocol, and source IP address. FORWARD – The FORWARD chain filters incoming packets that are being forwarded to a different end location. You’re unlikely to use this chain unless you’re routing or looking for forwarding specifically. OUTPUT – The OUTPUT chain is used to manage outgoing packets and connections. It is important to note that if you ping an external host then the input chain will be used to return the data back to you. This information tells you exactly what your chains are configured to do. In the example, the input, forward and output chains have been configured to accept traffic. These settings are a good starting point as they don’t block any connections that you might want. Once your defaults are aligned to accept all connections, you can control access to IPTables by blocking IP addresses and port numbers. This allows you to specify which connections you want to block rather than blocking everything by default. The majority of users will be better off accepting all connections but it is worth remembering if you’re working on a high security server. Once you’ve configured your default chain behaviour it’s time to configure individual connections. This is the point where you configure what is referred to as a connection-specific response. This essentially tells IPTables how to interact when connected to an IP address or port. These responses are as follows; ACCEPT, DROP, REJECT. ACCEPT – This configuration simply allows the connection to take place. DROP – Drop blocks the connection without interacting with the source in any way. REJECT – This blocks the attempted connection but also sends an error message. This is generally to notify the source that the connection attempt has been blocked by your firewall. In the example above you would replace 10.10.10.10 with the IP address you want to block. Note that the ’ssh can be replaced by any protocol or port number. It is also important to note that the -p tcp segment of the code is used to refer to whether the protocol you want to block is using UDP or TCP. Remembering to use these commands is vital because it will eliminate the hassle of having to configure each time you load up the utility. Then the 10th rule you configured would be deleted. This will clear the entire set of rules and flush your IPTable. That concludes our IPTables tutorial. As you can see IPTables is a versatile tool for blocking and allowing traffic on Linux distributions. Using the utility effectively involves setting up your default configurations effectively and building additional rules on top of that. The default configurations will allow you to outline your broad traffic intentions to allow or deny traffic; the rules will allow you to structure your approach with regards to IP addresses, ports and protocols. We’ve only scratched the surface with IPTables potential, and there are a ton of different commands that you can use to decide how you experience the traffic on your server. However, we recommend that you get the basics down before you start off with other commands. For example, you’ll want to get your head around basic chains rules before committing to anything more specialized. Once you’ve become accustomed to how IPTables works then you can start incorporating even more rules to customize your experience. In doing so you’ll be able to specify exactly what kind of connections you will allow with much greater precision than ever before.